Experimental world folk group HuDost has added Hawaii to its cross-country tour, and will perform at Studio Maui in Haiku next Saturday, Dec. 11. 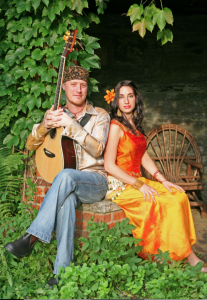 This after a Wednesday appearance on Mana’o Radio‘s “Alanamana Show” on 91.5FM on Dec. 8 at 8:30 p.m.
HuDost was initially formed as an acoustic duo between singer/songwriters Moksha Sommer from Montreal and Jemal Wade Hines from New York, but developed into a fully produced ensemble. HuDost functions as a duo or a band, incorporating musicians of varying sensibilities and backgrounds, and often including performance art, video installation and dance in their shows. 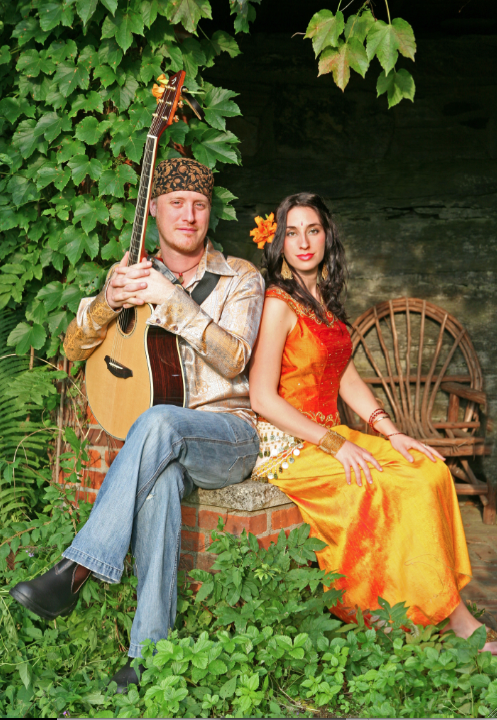 Their music is a rich, eclectic blend of traditional of Folk and Rock music with Sufi, Bulgarian, Croatian, Macedonian, Balkan, Farsi, Turkish, and Arabic elements, instruments and sounds. Most listeners probably couldn’t recognize where HuDost came from, whether in location or time. They are not just another unique band, but an experience. As an internationally inspired band, they have not only played around the US and Canada but have also toured throughout Europe and Turkey. They have performed numerous times with the psychedelic artist Alex Grey at CoSM in NYC, the Shakori Grassroots Festival, Omega Institute, Rumi Festival, The Annenberg Center for the Performing Arts and many others. CDs will be available for purchase at the event for $15 each. To view songs, information, tour dates or photographs, please visit HuDost’s official website or on Myspace. You can also visit The Studio Maui online.